The way vehicles are taxed is going to change. All petrol and diesel cars registered after 1 April 2017 will pay a flat rate of £140 annually if they cost below £40,000. Cars that cost more than £40,000 will pay a £310 supplement on top of that. Click here for a more detailed explanation of the new rules. The changes aren’t retrospective, though – so cars registered before that date will still be taxed according to their emissions. That means, for many buyers, getting in before the rule changes will save hundreds of pounds in VED. Here are 10 cars we’d recommend buying before April 1 2017. There’s more to consider too (this is tax after all) – because under the new system first year VED is still calculated based on CO2 emissions. First year VED is included in the price you pay when you buy the car new, so it’s not likely to be noticed, but it’s still important. First year VED is included in the numbers below. The Prius is a car that most buyers choose on its eco-friendly strengths and low running costs. 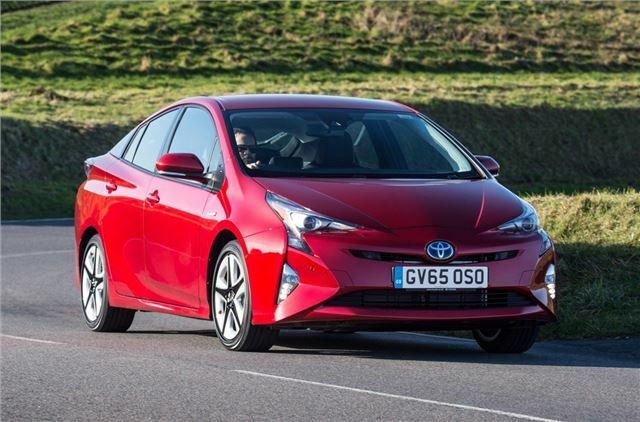 But despite emitting as little as 70g/km, the Prius is going to cost £130 every year in VED after 1 April, or nothing if bought before – so if you fancy the hybrid life, now is the time. It’s a smooth, relaxing and calming car to drive, which makes it great for the cut and thrust of big cities like London. Official economy is officially more than 80mpg, which isn’t realistic in real world driving, but even so it’s likely to prove frugal for most motorists, especially those who drive in town. Can anybody imagine what is going to happen to the second hand car market for 3/4 year old cars ? on the plus side cars registered prior to 2017 the prices will go up , my road tax makes me laugh my Euro 4, 1.6 car cost as much to tax as 1999 4ltr jeep the only bonus is it does a bit more to the gallon ! Seems crazy. Cars with low emissions are going to cost more. Where's the incentive to go green? It just shows that the Government is not really bothered about air pollution - they are more interested in clawing back lost revenue. To Add to Peter's comments, choosing a 3 - 6 year old will become increasingly complex. For example, if the first owner of a BMW 520d generously ticked the options list, the list price could easily exceed £40k, thus adding an extra £310 VED per year until the end of year six. Therefore a secondhand poverty spec SE will probably be worth more than a generously equipped one. However, come the end of year 6 and you will be able to to tax an M5 for the same amount as a 520d. Role on 2023! So much for the government taking efforts to tackle human caused global warming; Global warming is nothing but a hoax, and the government full well know this. This new VED change is nothing but a tax on the plebs, whilst looking after their rich chums. Just look at how all the low emitting cars for the common man (cars that once cost nothing to tax before, like the Prius, Euro 6 diesels, small efficient sub 100 g/km emitting cars, etc) have all gone up in tax, whereas the worst emitting cars (most powerful / expensive cars that once used to cost well over £300 in VED tax - the cars most likely to be driven by those who are 'well off') will now cost no more in VED tax, than the cars that the common man drives. The government, looking after their rich and powerful chums as always. Will never refuse to raise taxes in the name of global warming; Utter scumbags! More pocket money for Reps and the wealthy again, those of us who spend our own money hit again. We live in a country when one government supports the wealthy and the other fills the pockets of the idle. I am a Euro 6 Diesel owner, cannot afford to run a petrol car as we cannot afford the fuel costs to visit family, that's a direct hit at the working man. Seems crazy. Cars with low emissions are going to cost more. Utterly bizarre! my 5 year old Fiat 500 currently costs nothing to tax but if i trade it in for a new one i will be paying 140 pounds a year. That does not seem like progress to me and is hardly the way to promote the sales of low emission vehicles or to encourage car manufactures to produce them. It smacks of a desperate bid by the government to claw back lost revenue rather than any sort of coherent policy to try to tackle climate change and pollution, why am i not surprised?